It is officially the last day of summer. Tomorrow September 22nd marks the official day of fall. This summer has been amazing even though I feel like it was a short summer in terms of the weather. 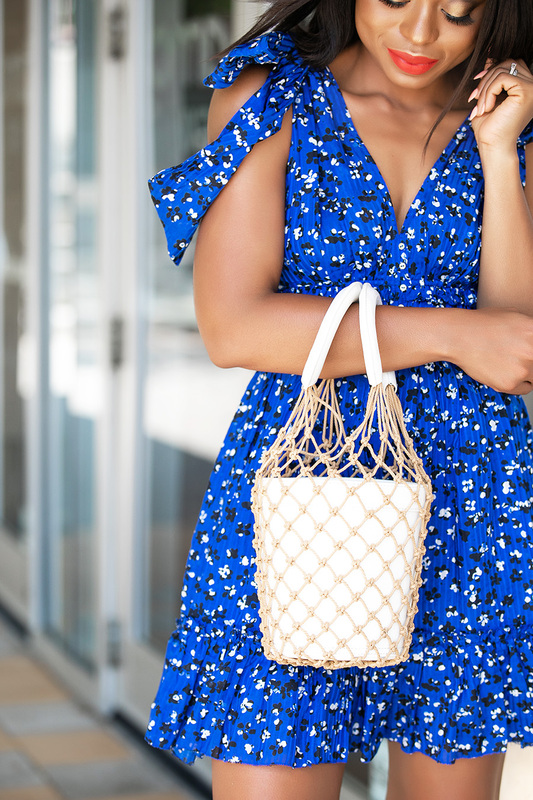 I have enjoyed styling different looks this summer from bright and bold colors, fun work style, floral prints and this Ulla Johnson dress. The blue abstract print of the dress creates the perfect vibe to enjoy the last warm days of summer. I love the all the details of the dress. The tie shoulder details, V-neck and eye-catching print was what caught my attention. It is definitely one of those dresses that can transition from summer to fall. It can be worn during the early days of fall paired with a leather jacket or blazer.